Shame about the wear but it does look gorgeous on you! Keep a handy pocket mirror on you and rock this anyway! I posted about this a couple of days ago. Like you, I didn’t want to buy it because of the LC drama but I couldn’t resist any longer so I bought it anyway. It wears on me similarly to you, but I don’t mind it. 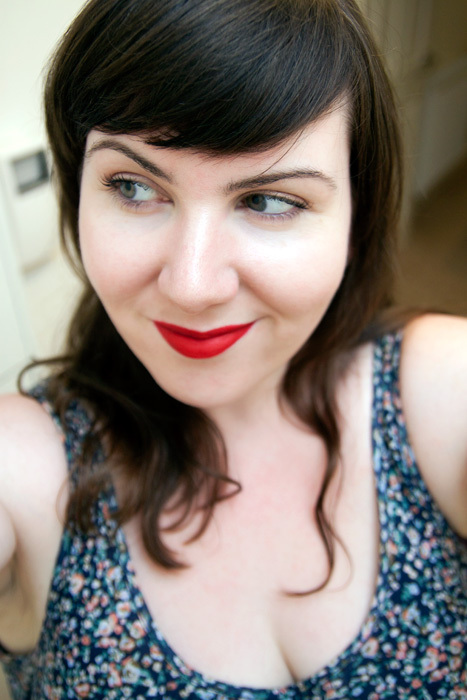 I’m used to having lipsticks which disappear entirely off my lips in a few hours, so having one which just disappears in the centre of my mouth doesn’t bother me. I’m a vain cow and I love looking at myself so when I top up my lippie I can make sure I haven’t sprouted a third eye or a spot big enough to have its own postcode. Ohh *Sigh* It is so beautiful! I, like you were, am desperate to buy it and try it out. I just have so may reds, but this seems so uniquely stunning! What a shame! It looks great on you. The Lush lip colours in Ambition and Decisive look similar to this, minus the repackaging lies and other drama I associate with LC. They also wear really nicely on me, fading to a tint quite evenly. 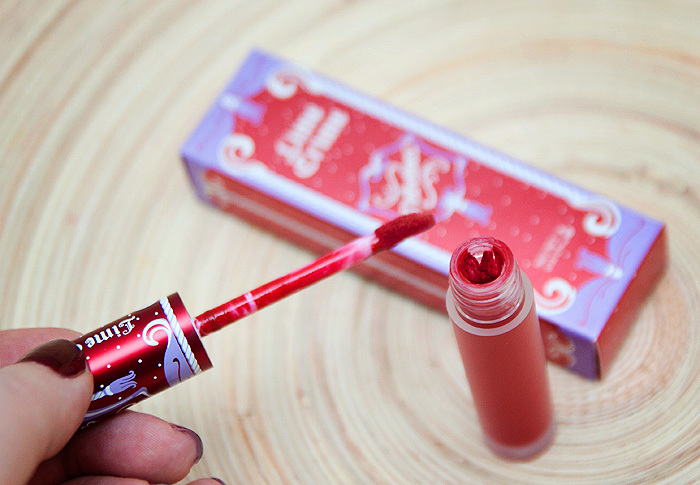 I want to buy the lime crime velvetine red lip velvet .i want to know how I’m going to order it. Can u guys show me how to do that plz. Hi there! I love this red velvet color on you! I have sort of a random question. I bought the red velvet as well, however I noticed that when I first opened it, the applicator and spout of the bottle were messy as in your second photo. Was it like that when you first opened it or only after you’d used it? I’ve seen other reviews of the same lip product and their bottles all look like this. 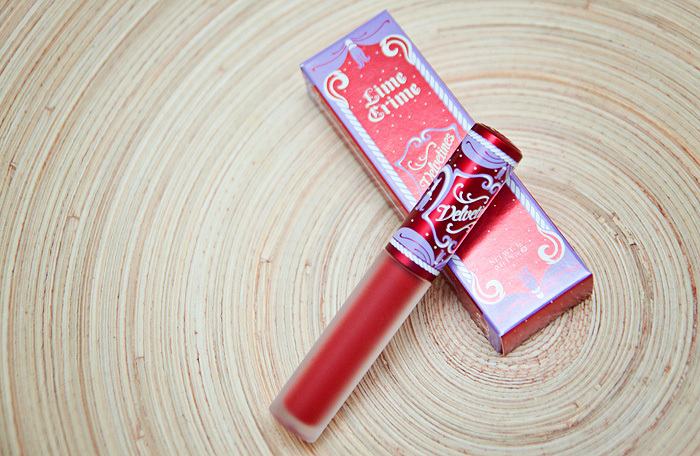 Just wondering if its a lime crime thing or if mine has indeed been used before, in which case I will return it! I’d really appreciate your input! I remember mine was messy, I’m a neat freak about things like makeup and remember being annoyed by it. Thank you very much for a very good post on RV. And I do think it looks wonderful on you! I oils like to answer a question on the quality of this product, if I may. I purchased it two months ago, used it maybe 6 times and now the bottle looks only 1/3 full. Did you have the same issue or mine was half-empty? Another thing the product itself is drying out, it is not that liquid any more as it was in the beginning. I am frustrated and don’t understand whether it is all about velvetines or I got a spoilt product. Your answer will help a lot.